It is unusual for an Advocate General to file an affidavit, explaining his role in a case. The Kerala Advocate General has earned the rare distinction of filing an affidavit in the Supreme Court pursuant to Court’s direction in a Special Leave Petition filed by one Mr. T.N Nandakumar (SLP(C) No.12261/2012, Thanical Gopinathan Nandkumar Vs. P C George MLA & Ors). The case arises out of a decision of the Government of Kerala to transfer the case regarding the alleged irregularities in the award of tenders for operating the State Data Centre (SDC) and three network operating centers under the State Information Infrastructure to Reliance Communications Limited by the previous government. When the case came up for the hearing before the Division Bench of the Kerala High Court, the Advocate General, on telephonic instructions of the Chief Minister, had informed the High Court the decision of the Government to transfer the case to Central Bureau of Investigation (CBI). The Writ Petition in which the order came to be passed was filed by none other than the Chief Whip of the Government, Mr P C George, who is holding a cabinet rank in the State Government. The filing of the writ was soon after the change of Government in the state of Kerala. The decision to hand over the investigation to CBI was questioned by Mr. Nanadakumar, who is arrayed as one of the accused through a Special Leave Petition. The case has witnessed an interesting turn of events. The Supreme Court has now questioned the propriety of the Advocate General’s statement before the High Court to the effect of transferring the case to CBI without any cabinet decision. 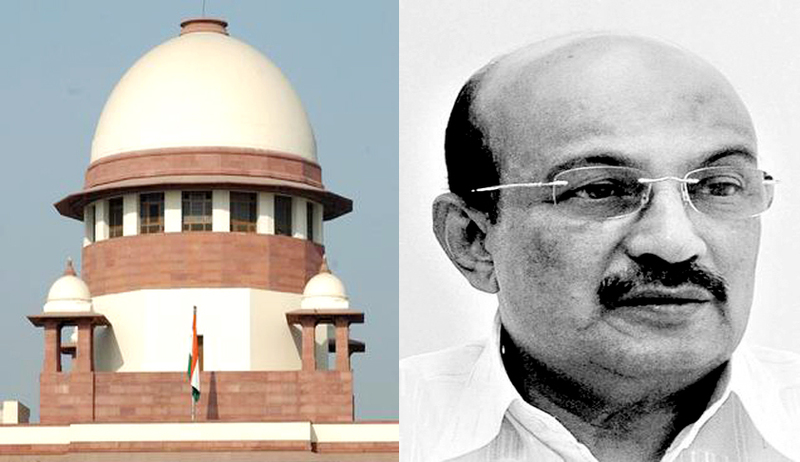 The Attorney General of India, Mr Gulam E Vahanavathi who appeared for the State of Kerala in Supreme Court, had informed the Court that a CBI probe is not necessary in the case. The State, subsequent to such stand in the Court through the Attorney General, within a week itself, changed its position and decided to continue with CBI enquiry. The government’s decision to retract from it's stand in the court provoked Vahanavathi, who later informed the Chief Minister that he is not interested in appearing for the state in the case any further. The Government’s position to continue with CBI enquiry was later communicated to the Court through an affidavit submitted by Chief Secretary Sri. E K Bharat Bhooshan. The Court was not happy with the affidavit filed by the Chief Secretary and gave a stern direction to the Advocate General of Kerala to file his affidavit. Accordingly, the Advocate General Mr. Dhandapani has filed his affidavit, which will be considered by the Supreme Court on Monday (28.10.2013 ). In the meantime, in another interesting development, the Kerala Government has replaced its Standing Counsel Mr M.T. George, who had been handling the State Data Centre case, and he has been directed to hand over the brief to M.R. Ramesh Babu, another Supreme Court standing counsel representing the State, for unknown reasons. The State’ conflicting and vacillating stand is being seriously criticized by the Court, and tomorrow’s hearing is going to be very crucial for State’s Advocate General.